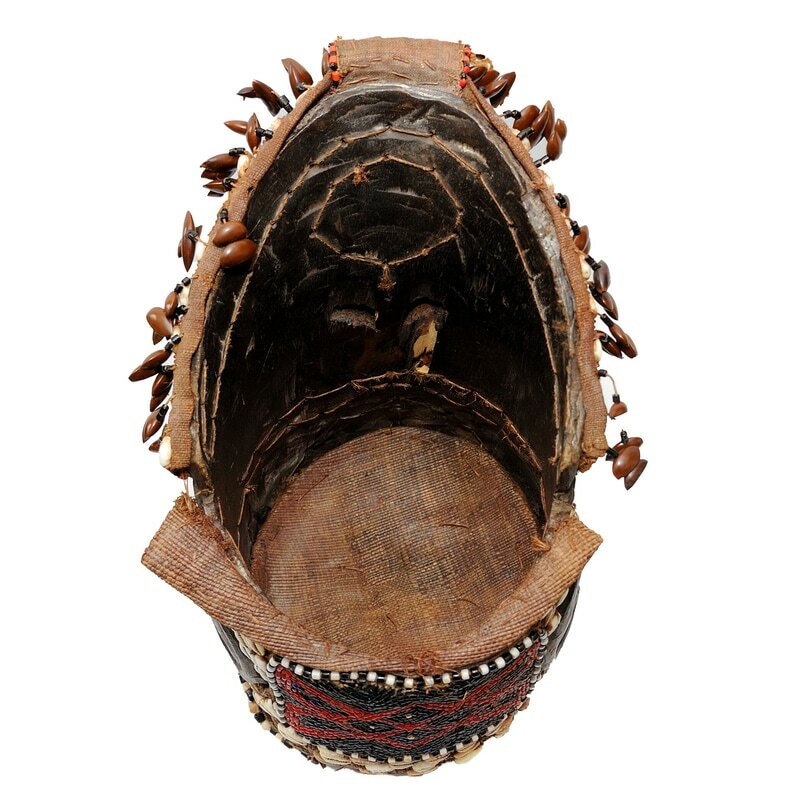 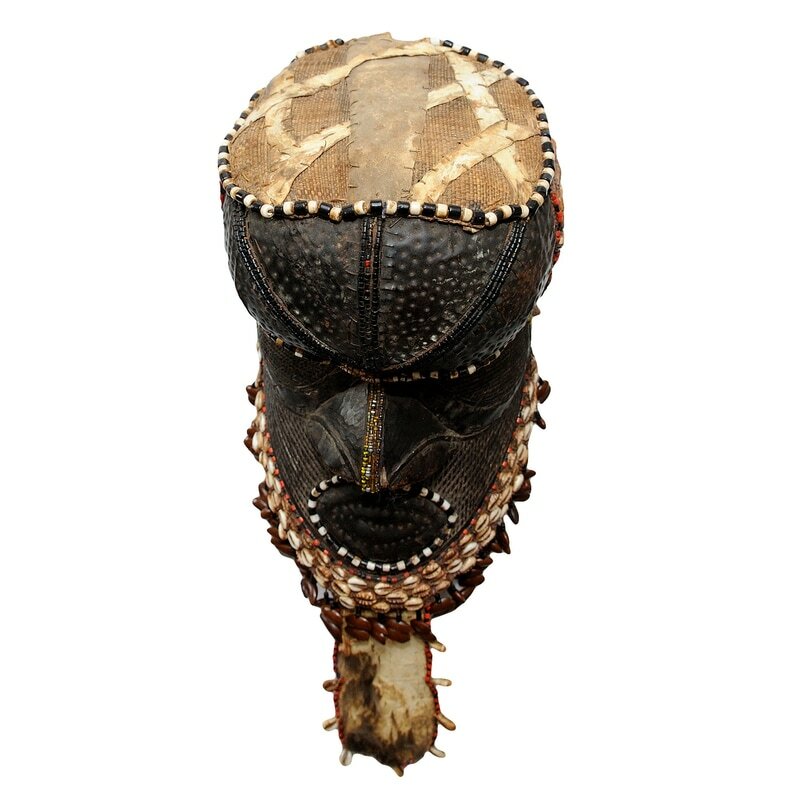 This is a most interesting mid 20th Century African Kuba Peoples Helmet/Mask, circa 1950. 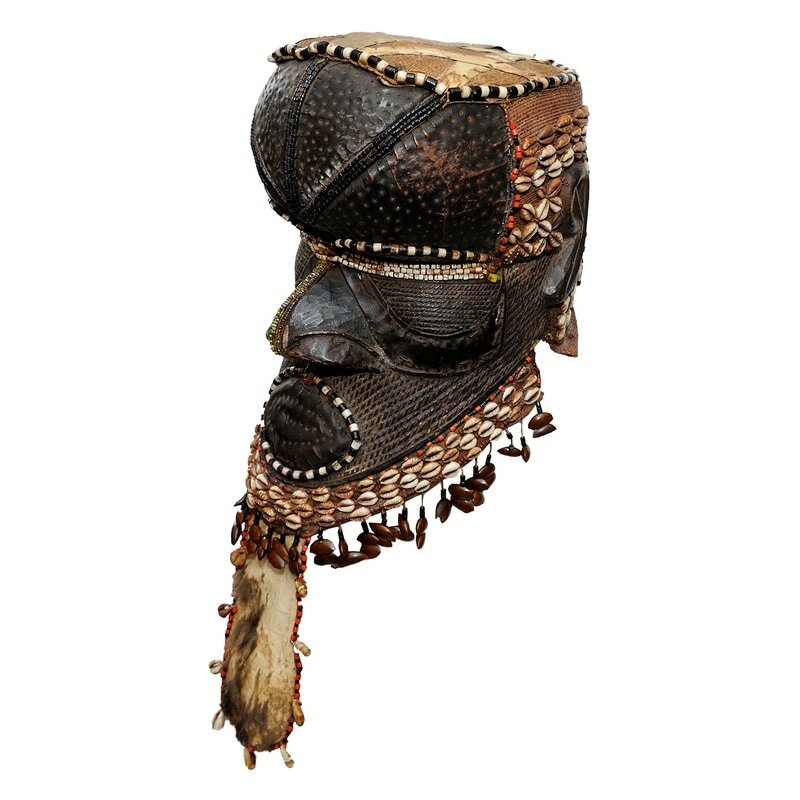 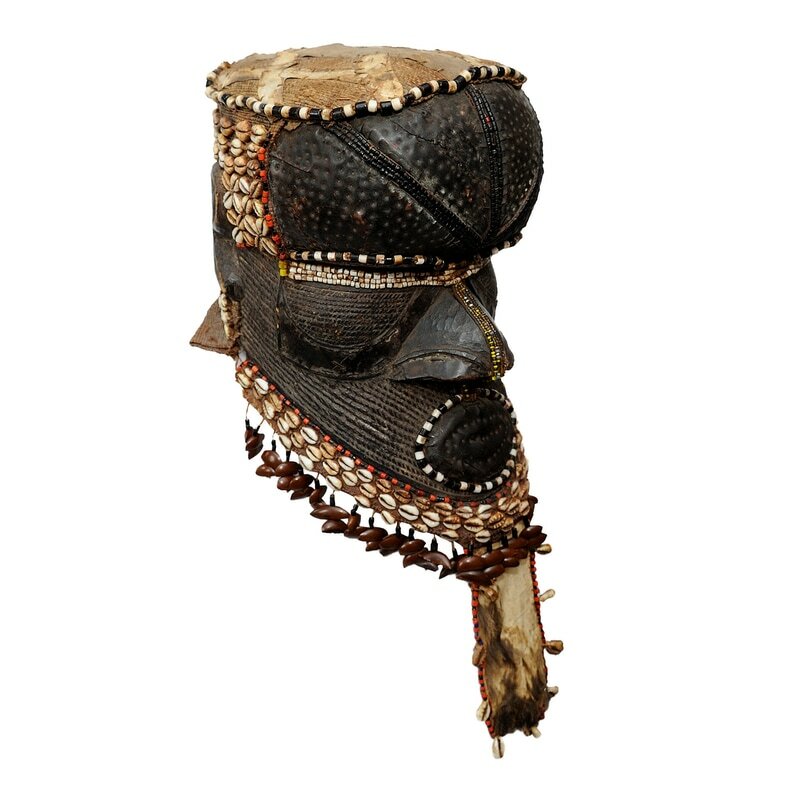 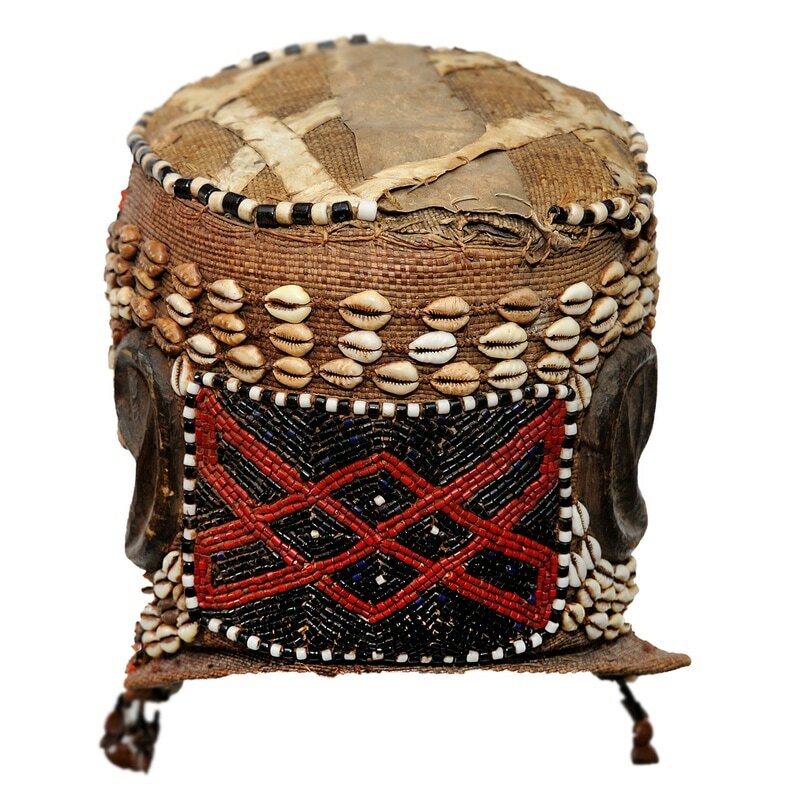 This very striking helmet or mask was worn during important initiations and other ceremonies related to the foundation of the Kuba kingdom and its ruling Bushoong dynasty in DR Congo. 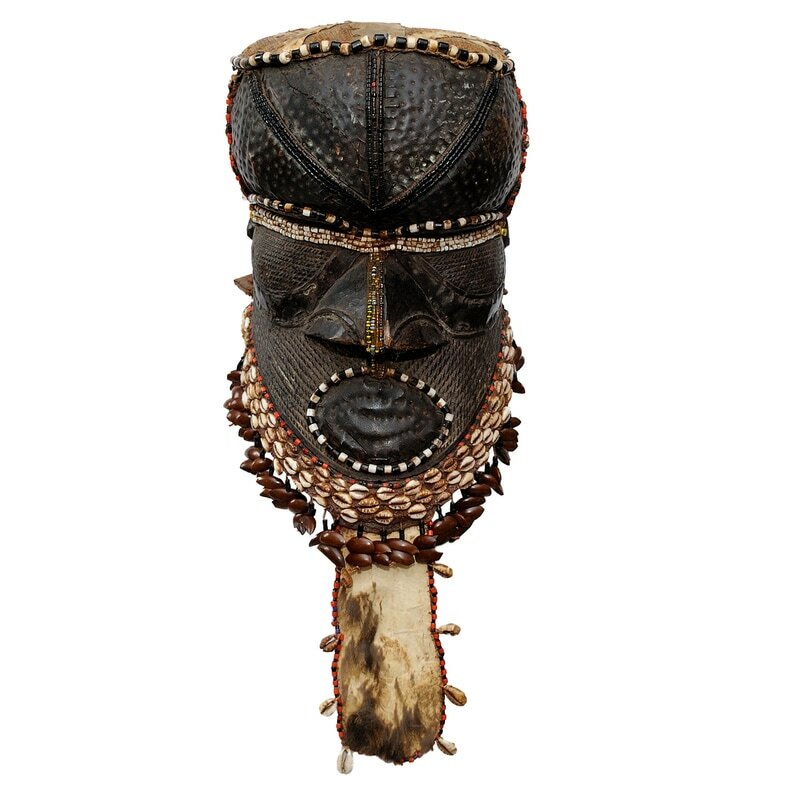 Depending on the ceremonial circumstance, the mask might represent nature spirits, commoners, nearby Mbuti (pygmy) forest dwellers, or the founder Woot’s contentious brother Bwoom, who competed for the affections of Woot’s wife-sister. 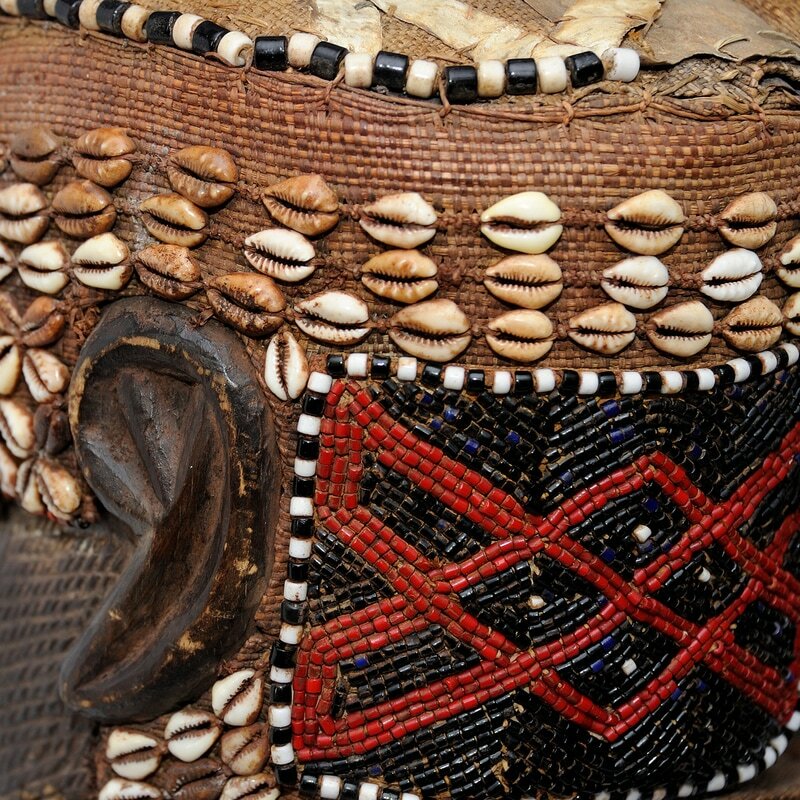 The mask is constructed from wood, beads, cloth and shells.